Another big day coming up for our Comp next Sunday! We have put in the order for another one of these beautiful sunny winter days! The first version of the draw is linked above, see note below re the Final draw version. IMPORTANT – not all of you have renewed your EA membership, or your Horses Competition licence (which was due on July 1st) A list will be sent after this email to those affected. This MUST be sorted out Monday, or you will not be able to compete on Sunday. As you know these comps do not run themselves, so this of course means that we will need your help to ensure the day runs smoothly and to time!!!! Please take a look at your times on the attached draw, and then email Libby at entrieshdc@yahoo.com.au with the times that yourself or a friend/partner/husband/wife/child/aunt/groom/associate is available to help. We need all sorts of helpers, from pencillers and test paper collectors to help with the kitchen, runners, buggy drivers, and lots of other things. No special training required! Riders Info: Please take the time to read the attached riders info sheet – it contains important information. Scratchings: If you are unfortunate enough to have to scratch, please send an email to karen@snafflebytes.com.au as soon as you know you will be scratching. This will allow those on the reserve lists to get a ride. This is the ONLY acceptable way to scratch before the event. Scratchings on the day of the event are to be sent via SMS to 0405 384 201. Late Entries: As per our Late Entry policy, the LATE event is still open on Global. Please check the draw for your name. Those who did not get a ride have been placed onto reserve lists. You will be contacted if you are given a ride. Alternatively – please check the Final draw to be issued on Thursday 26/05 – see note below. Catch Light Photo Imaging is the official Photographer for the weekend. See the advert in the attached Riders Info sheet for details on how to make a booking. Pre Bookings are required at a cost of $36 – you then get $36 off your purchase! The FINAL draw will be posted here and emailed to competitors on the evening of Thursday 20th July. Please ensure you check this version of the draw for any changes. 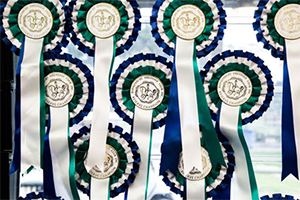 Hawkesbury Dressage Club Inc was founded in 1991 by well known A level judge Jan Geary. HDC provides riders from Preparatory to Grand Prix with the opportunity to compete at The Sydney International Equestrian Centre.